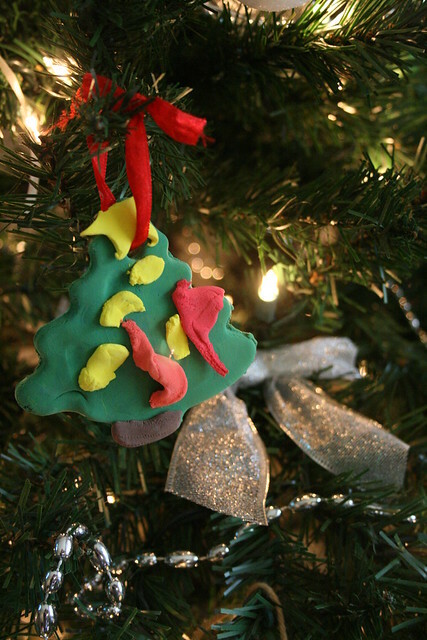 The first batch of ornaments we made were very simple. 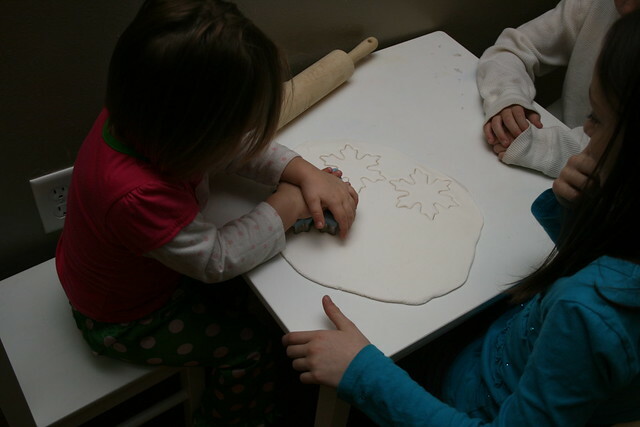 I had the children roll out the dough and use a cookie cutter to make the handmade ornament. 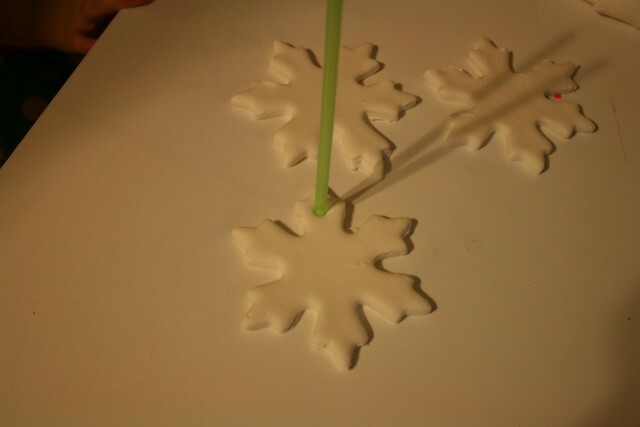 Using a straw I put a small hole to make the ornaments. 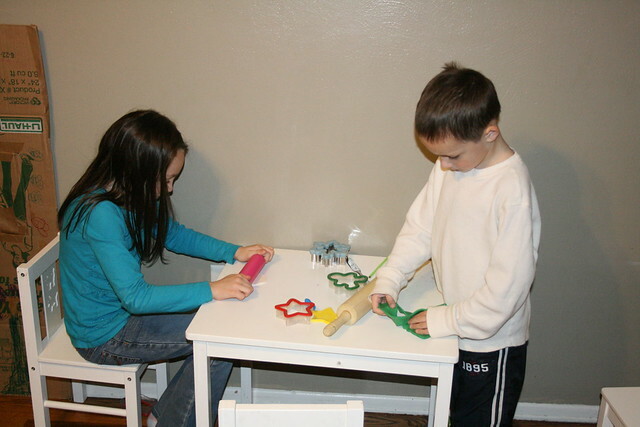 The straw worked really well and we were able to use the same straw for all of the ornaments. The dough just moved up the straw as we went. 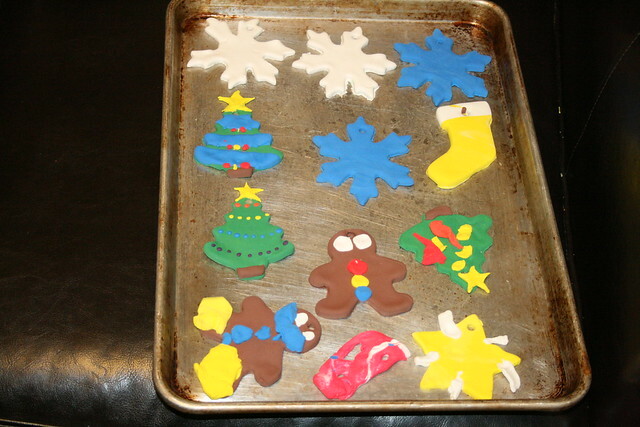 After making the simple ornaments with the kids I brought out all the colors and cookie cutters and let them go on their own. We bought all the primary colors and mixed up the green, orange, purple, and brown on our own. The kids got a kick out of mixing the colors. 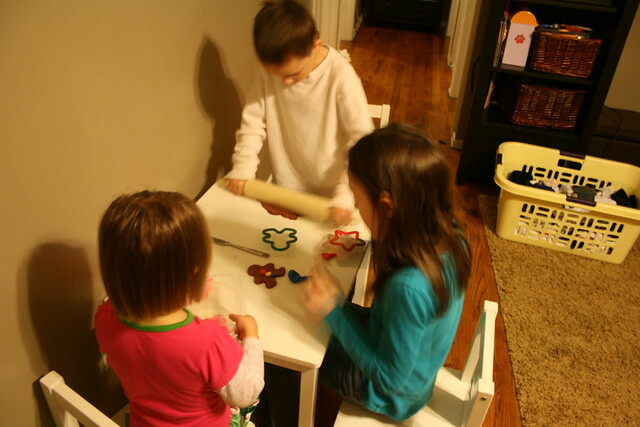 The older two are now very proficient with knowing what colors to mix together to make the color they want. I see this as so valuable for when they really take off with water coloring or oil painting. Our handmade ornaments took only about a day to dry. I did turn them over after about 12 hours. I was surprised how they felt when they were dry. I was expecting it to be hard like clay, but it is soft and a lot like craft foam. I do have to say that my favorite ornament had to be the one by my two year old. Not sure what she was going for, but she was so proud of her work! I love these! 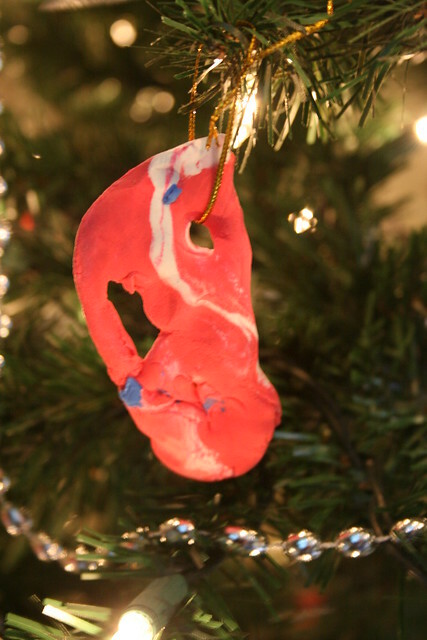 My kids are big model magic fans... what a great idea for ornaments. cute and colorful :] love it! Oh my your ornaments are just too cute! These are so lovely! Especially the snowflakes! How fun! I last used model magic to make a hand print of my 5 month old, and I just turned it into a tree ornament. My 3 year old loves playing with the stuff -- the texture is divine. We love Model Magic when traveling - it just doesn't stick that badly, even to fabric! Once it dries, I've even managed to get it out of carpet. thanks for the inspiration! happy holidays!